Nine finished week 43 #1 all people and in key demos for the primary channel. Seven managed to win the week on combined channel share with big contribution from Rugby League World Cup on Friday night. 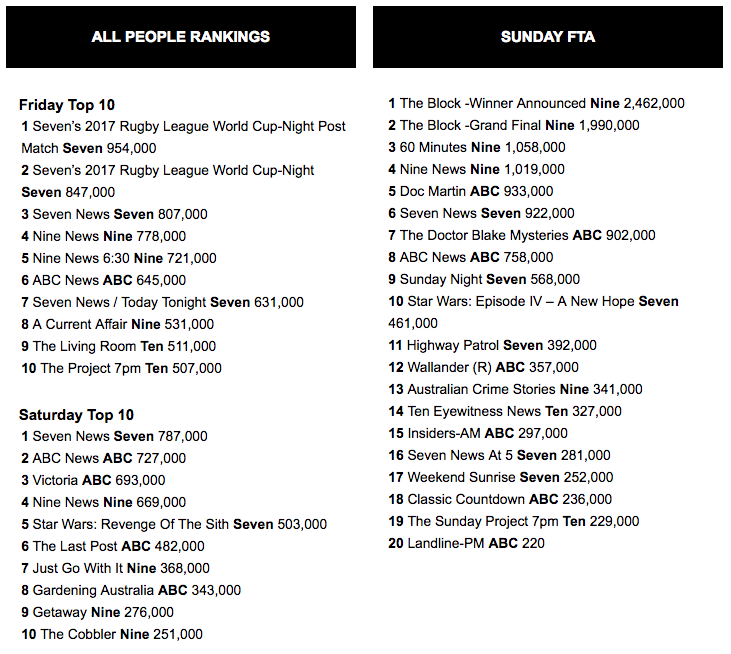 Network Ten had its equal best week all people for the primary channel since week 20. ABC had its best survey week of the year and was just 0.1 short of its 14.0% share at Easter. The channel did it tough up against the final night of The Block, with Seven News over 900,000 its best. It was also the only show to crack 600,000. Sunday Night was on 568,000 followed by the fourth Star Wars movie in the season, which did 461,000. The ABC ratings though were good news as Doctor Blake prepares to change channels. 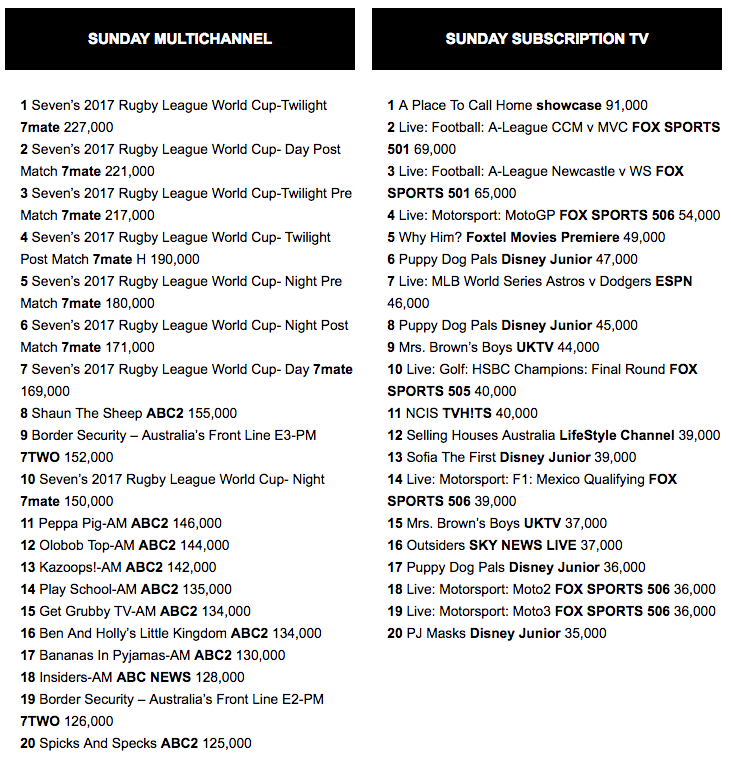 The channel had its second-best Sunday share of the year with 35.3% for the primary channel trailing only the NRL Grand Final Sunday 42.0% from the start of this month. 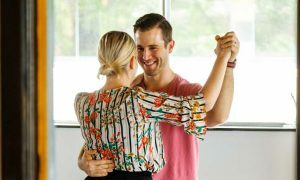 Nine used the opportunity to screen promos for some of its key 2018 properties including Married At First Sight with a lengthy clip introducing some of the 20 participants. Primetime started with Nine News on 1.02m. The audience quickly grew to 1.99m for the final episode of The Block. It was a fascinating episode for those interested in the outcome for the contestants – which is clearly lots of people judging from the numbers. Most of the auction action happened with the first property, although each auction made for compelling viewing. Dave Hughes was the surprise successful bidder for the first home which propelled Josh and Elyse to first place and an extra $100,000 added to their auction winnings. Hughes, who is soon to move from ARN to SCA, was on Triple M this morning playing down the size of his property portfolio. If he does use his new Regent Street acquisition as an investment property it will need a substantial rent return to make a dent on the mortgage payments. By the end of the episode the crowd had grown to 2.46m for the confirmation Josh and Elyse had won. 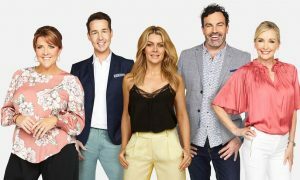 Nine managed to get away a number of promos during the show for the next season of The Block at the Gatwick in St Kilda. Later in the night 60 Minutes did a healthy 1.05m followed by another episode of Australian Crime Stories, which did 341,000. Sunday has been the channel’s Achilles’ heel in recent weeks and last night was no exception. TEN Eyewitness News had the biggest audience with 327,000 at 5pm. Family Feud Sunday was on 217,000. The Sunday Project did 229,000 at 7pm after starting on 198,000 at 6.30pm. Bull then did 213,000 followed by NCIS: New Orleans on 181,000 with a second episode lifting to 207,000. The channel was largely untroubled by the big audience watching The Block. Doc Martin was the fourth most-watched program of the night on 933,000 after 939,000 last week. The soon-to-move-to-Seven Doctor Blake Mysteries did 902,000 after 944,000 last week. Sunday share was steady here too with Underwater Pompeii the channel’s best at 7.30pm on 211,000 as the doco narrowly outrated Bull in Sydney and Melbourne. The final two episodes of Robert Redford‘s The West then averaged 153,000.